Big changes are underway in terms of the way bloggers and their blogs are displayed and promoted on the HuffingtonPost. As a veteran blogger for the HuffPost Arts and Culture page I have been watching these developments closely. These significant changes are occurring as the result of top-down changes that are affecting the design, organization and presentation of the HuffingtonPost as a whole. The process began in January of this year (2016) when bloggers were notified that a new blogging platform called "Athena" was being tested and were urged to try it out. At first glance, this seemed like a good thing: the Athena platform is part of a new "content management platform" approach that will allow bloggers to post directly from their smartphones and also add videos. The platform also allows blogs to be posted without editorial approval. Before Athena, it was estimated that some 60,000 of the HuffingtonPost's estimated 100,000 bloggers had the ability to post instantly without approval. Now, any blogger with an Athena contributor profile can do so. Before Athena, if a blogger to the HuffingtonPost submitted a blog, it was nearly always featured on one or more pages. For example, blogs for the Arts and Culture page would appear either in the left column--which was a blogroll--or sometimes would show up in one of the two wide news columns. Bloggers even saw their works promoted and "featured" at the top of the arts page: it always felt great. Last week the Arts and Culture page appeared in a re-designed format without a blogroll: it is the first time in more than six years that this feature hasn't appeared. On the new page, there were 102 blogs listed in two columns. Of these blogs, 99 were by paid HuffingtonPost staff writers, and only three were by bloggers (contributors) like myself. Many of the blogs I found on the Arts and Culture page had been cross-posted from other sections including Health, Politics and Books. For years bloggers set the tone for the arts page: now the tone is being set by professionally written content which conforms to in-house expectations. In other words, it is clear that HuffingtonPost Arts bloggers will have much less of a presence. Their blogs will only be featured at the discretion of HuffingtonPost editors and are less likely to be shared by the HuffingtonPost on social media. This is a change of enormous significance. This marks the end of era for the many arts bloggers who built up significant followings since the opening of the HuffingtonPost Arts and Culture page in June, 2010, under the direction of founding editor Kimberly Brooks. 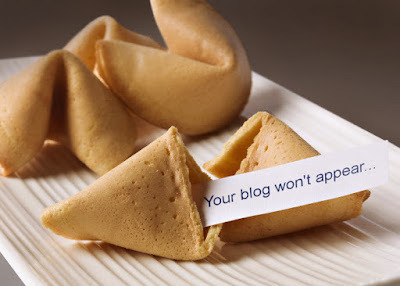 For the bloggers who decide to keep contributing under the new scenario, the blogs you submit will still have the header and the "look" of a HuffingtonPost blog, but will far less likely to be actually published and/or featured on the HuffingtonPost. The fate of every blog post is now at the discretion of the publication's editors, sequestered at AOL/HuffingtonPost headquarters in New York. We're very grateful for your blogging efforts over the course of the years, and especially to Kimberly's efforts to keep our blog community alive. And we're glad the opportunity has given you a springboard, as you mentioned. We are not eliminating or relegating blogs -- less may appear on the page, but this has to do with a site-wide move away from landing pages toward external platforms and social media, which many contemporary media outlets are embracing. There will be a more visible distinction between full-time staff writers and editors who write articles on a daily basis and bloggers who write blogs on a voluntary basis, a move I think encourages greater transparency as to how HuffPost works. Although I appreciate Katherine's reply, I don't feel entirely re-assured. It remains clear to me that the "visible distinction" Katherine refers to corresponds with less visibility for blogs. Part of what has been so great about blogging for the Huffpost Arts has been the flexibility and spontaneity that was permitted. Now, with bloggers having to be more conscious of writing content that will be appealing to editors they will rarely interact with, the content and style of blog-writing will inevitably begin to change. I know that I am personally looking over my shoulder and seeing a lost golden era of blogging falling away. 3. Format your post to be easily scanned: People don’t read articles anymore; they scan. Make your article scannable by writing shorter paragraphs, using line breaks, and adding bullet-points and numbered lists. This makes your article more shareable, which in turn makes it more attractive to the HuffPo editors. All of these changes—for better and for worse—are going to be accompanied by another ongoing development. Arianna Huffington, who is guiding the very successful HuffPost into the "cross-post" business has set a goal of recruiting a million "contributors." What does this mean for arts bloggers, artists, and those who have been reading the wonderful and varied blogs posted on the HuffingtonPost Arts Page since it was founder? It means that the power of blogs and bloggers is being diluted, at least on the HuffingtonPost. The HuffingtonPost used to reward my blogging by promoting my blog: now I can no longer depend on that. "If I write just the kind of content an editor might want, maybe this will be posted."